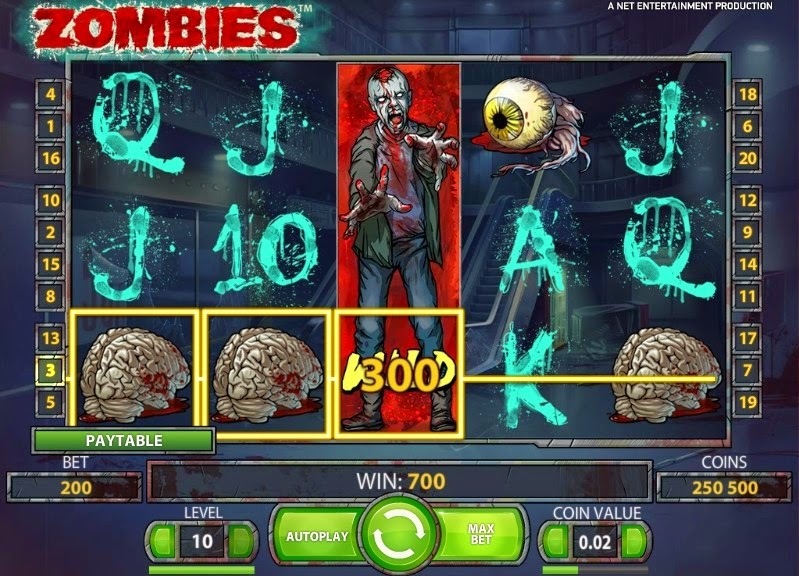 Zombies is a 5 reel 20 payline video slot created by Net Entertainment. It’s based on zombies as the dead return to life – it’s weirdly set in an empty shopping centre. 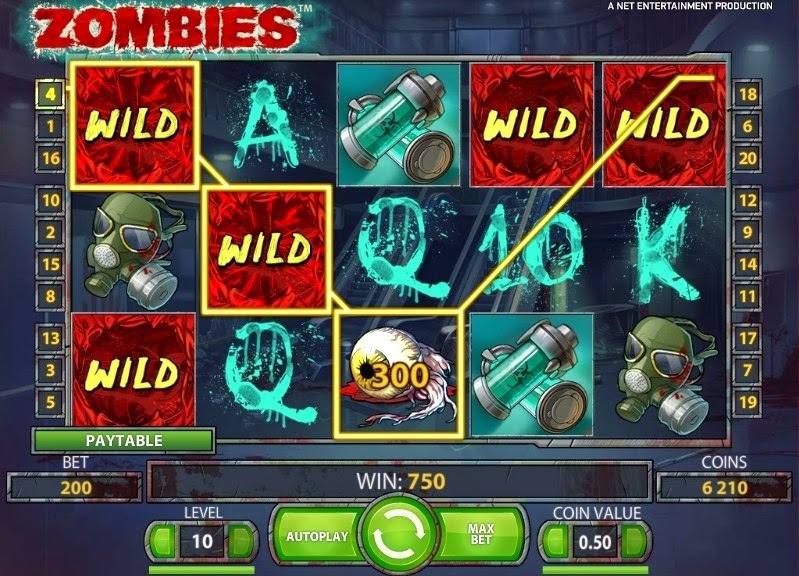 The theme of Zombies is a great favourite in cinema and pop culture, and the world of video slots is no different. Here, the reel symbols include The Saw, Gasmask, Human Brain, Eyeball and Weapons, as well as generic playing cards symbols from Aces to Tens. The best paying symbol is The Saw, which is worth 1,000 credits if you spin 5 of them in to an active pay-line. The Gas Mask is worth the 700 coins if you spin 5 of them into an active pay-line. Finally, there’s the Free Spins feature which is activated by getting 3 scatter symbols anywhere on reels 2, 3 and 4 – you are then awarded 5 free spins. 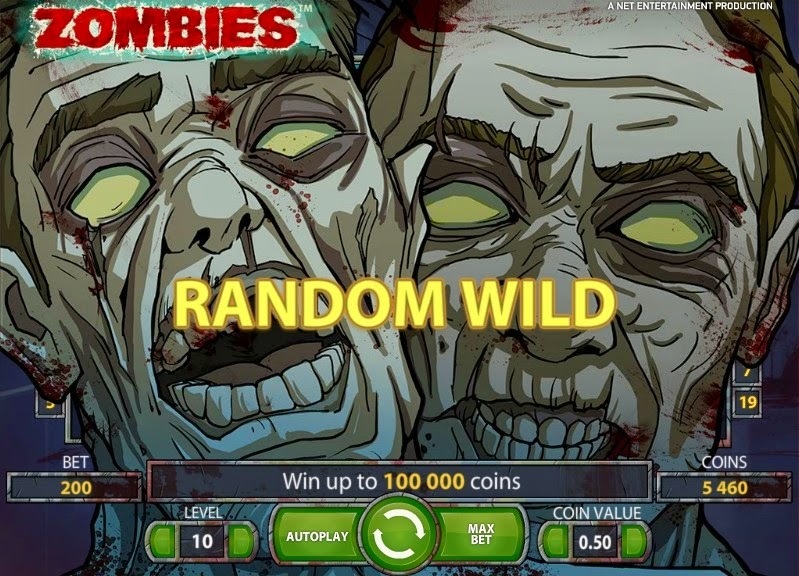 The bonus round will start with zombies being shot and covered with toxic fog – this will win you coins. 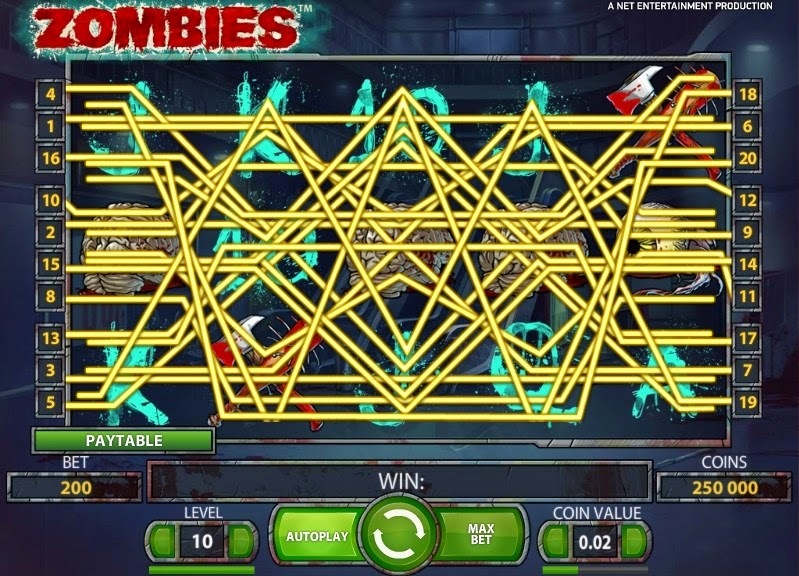 The total amount is displayed in the Zombie Score meter. 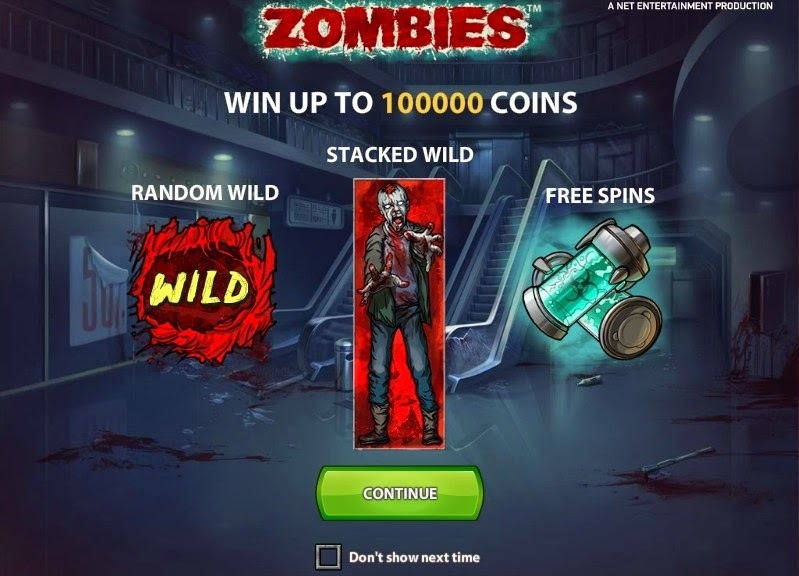 There is also an increasing multiplier during the free spins. So for the first spin, you have a 1x multiplier. For the second, a 2x multiplier. For the third, a 3x multiplier, For the fourth, a 5x free spin and finally, for the final free spin, you will get a massive 10x multiplier. This feature can prove very rewarding as there is a maximum of 100,000 coins you win on a single bet line! 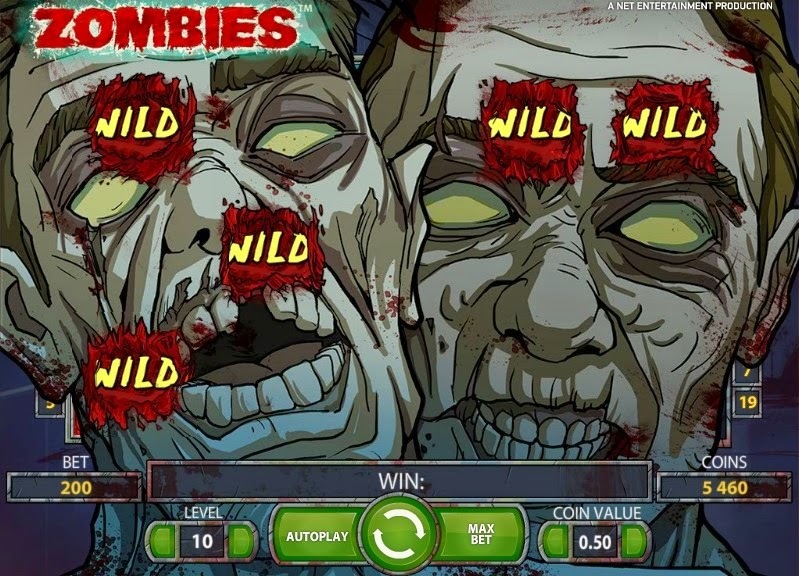 Zombies is one of the excellent video slot games, which ensures you that you will not lose you interest till the end.